Writer Randy Jandt makes his “The Spectacular Spider-Man” debut with a tight, exciting, frequently funny script that offers Doctor Octopus entrÃ©e into the series this Saturday, May 3 in the all-new episode, “Reaction.” The episode, directed by Jennifer Coyle, premieres at 10:00 a.m. ET/PT on Kids’ WB! on The CW. In the episode, the nebbishy Dr. Otto Octavius is painfully transformed â€“ by the meddling hands of the Green Goblin â€“ into the menacing Doctor Octopus. The newest villain to hit town, Doc Ock releases his initial anger on Norman Osborne before turning his attention toward Spider-Man as the pair battle for the ultimate power source to Doc Ock’s extended limbs. Jandt took a few moments this week to answer three quick questions regarding his thought process in penning the script for the episode. Question: This was both your first script for the series AND the series debut of a character that has been so well-defined in comics and then received even greater fame in the second Spidey film. Was there any level of intimidation writing this episode? Randy Jandt: The opportunity to write for Spider-Man was both thrilling and a bit daunting, primarily because of the elevated expectations of such a high-profile, established franchise. In addition, because such industry-respected stalwarts like Greg Weisman and Vic Cook were at the helm, there was pressure (which I put on myself) to make sure the work was up to their high standards. The flip-side of this pressure, however, was the privilege to be a part of something very innovative and exciting. BECAUSE of what Greg and Vic bring to the show, they truly are taking something old, and making it new and really fresh again. The show’s ratings speak volumes. (NOTE: “The Spectacular Spider-Man” earned some of its best ratings of the season for last Saturday’s debut of the Green Goblin. The episode swept all of its key demographics for its timeslot and was one of the highest rated kids broadcast network shows of the morning). 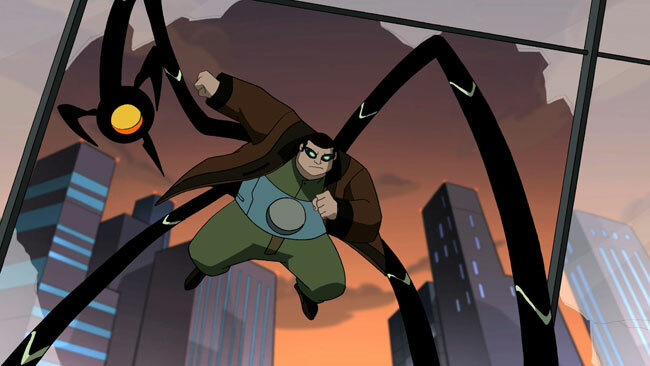 Question: What were the obstacles for you in introducing Doc Ock into the series? 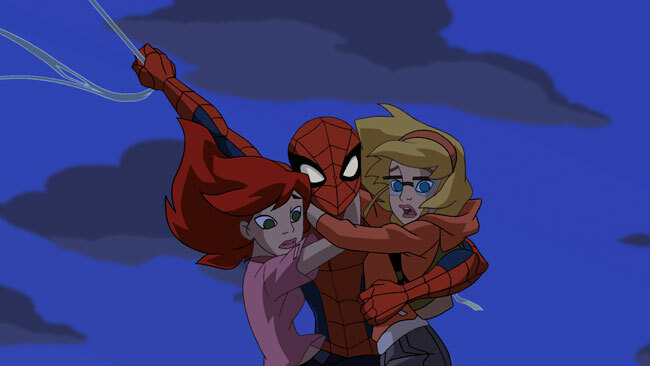 Randy Jandt: The challenge to writing this episode and specifically, introducing Doctor Octopus, was to keep in mind the expectations and history with a show/character like this â€“ so my approach was rather simple: be mindful of the history, listen to the direction and guidance of Greg Weisman, and then write an episode with a good, entertaining story that is packed with as much action and humor as 22 minutes will allow. Question: Knowing all that has come before in the comics, and being aware of the storyline of Spider-Man 2, what did you seek to do with the characters â€“ particularly Doc Ock â€“ within this episode? Randy Jandt: In terms of deviating or staying true to character and story from the comics, the show’s creators didn’t think there was need to reinvent the wheel, but rather take and use all the elements that made Spider-Man such a fan favorite and then expand on it. However, with that said, the fact that Greg chose to NOT start out the show with Spider-Man/Peter Parker as an adult, but as a 16-year-old kid, was brilliant and liberating on a variety of levels. That fresh perspective of a young Spider-Man/Peter Parker translated to the entire spirit of the show. Doctor Octopus was challenging because he had such a range of character. From weak and meek genius, Otto Octavius to Megalomaniacal Doctor Octopus â€” that’s an amazing jump, filled with chances to create great drama â€¦ and humor!. When you add the techy bells and whistles of his arms/harness, bringing this iconic character to life was extraordinarily fun to do.